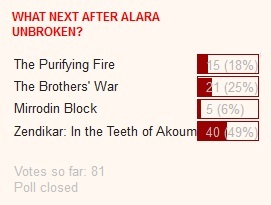 Here are the poll results for what to read post Alara Unbroken. The Brothers' War took the early lead in week one, but over the course of the next two weeks Zendikar pulled ahead and maintained the lead. Now I'm going to have to dive into the second Robert B. Wintermute book. There has been enough time since I've read Scars of Mirrodin: The Quest for Karn that I think I can get myself to survive this one. Last time I went in completely ignorant of the quality of his work, this time I'm most definitely going in with bias. If anything, I'll be interested in seeing how that foreknowledge affects me. What next after Zendikar: In the Teeth of Akoum? There are only two choices this time. I really had no idea how many votes this was going to take. 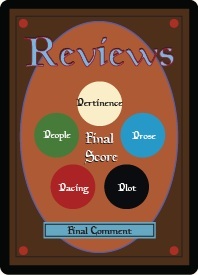 I wonder how many votes are going towards it from people who have read it, and how many from people who want to know what went on during the first real story created by Wizards, starring the great artificers Urza and Mishra. I'm confident it is still the best Magic novel and looking forward to reading it again after so long. In a close third place, we have the story of the lovely Chandra Nalaar. My mystery of Jace Beleren naturally lends itself to a great novel, I'm interested in how they approach writing a novel around the more straight forward Chandra. I'm guessing the impulsive and passionate nature of Red helps to drive the story. 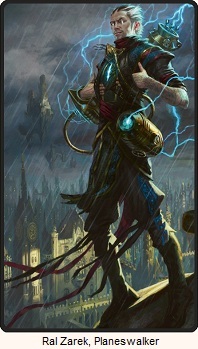 Once this second book of the Planeswalker novel series is done, Test of Metal will become an option to read next. Vote in the poll to the right. Voting ends in three weeks. October 21st. Since Test of Metal is a direct sequel to Agents of Artifice where Purifying Fire is totally unrelated, there shouldn't be any need to read the latter before the former. They don't have any overlap or anything. the Teeth of Akoum is a rough read, due to Wintermute. Good luck!